By day, he may look like any other normal (by normal we mean highly professional) corporate lawyer, but come nightfall – metaphorically speaking – Duncan Jepson is an entirely different beast altogether. He’s a film producer, two-time documentary director, humanitarian, and founder and former managing editor of the Asia Literary Review. He is also writer of graphic novelDarkness Outside the Night with Beijing-based illustrator Xie Peng, and author of the critically acclaimed 1930s social novel, All the Flowers in Shanghai. On March 6, the 44-year-old Bruce Wayne-esque author releases his latest work,Emperors Once More, a crime novel which is already attracting TV-attention from the States and the UK. Part of a two-book deal made last March with British publishing house Quercus (known for The Girl With The Dragon Tattoo), Emperors Once Moreis a crime-thriller set in the not-so-distant future year of 2017. Based in a Hong Kong rife with heavy economic and historical issues derived from China’s recent development, two Methodist ministers are murdered on the eve of a G8 meeting. The tale follows Alex Soong and his pursuit of both a mysterious serial killer and a conspiracy that has risen from China’s tainted past. Jepson’s careful equanimity and his graceful and thoughtful presentation of both Western and Eastern history and culture are some of the main elements that make the novel so compelling. Bypassing the erroneous ethnocentrism which is a common flaw of books in the same genre, the Eurasian author strikes between the two ideologies, a near-perfect balance. We’ve come a long way from our Big Trouble in Little China days, or at least the portrayal of China in Western media, but Jepson’s stories continue to strive for an even closer mutual understanding of Eastern and Western ideologies. With Emperors Once More, it appears he has pulled this off. The title has already gained film and TV interest from UK and US production companies looking for Asian content to produce. And recently, Jepson has begun working with a US production company and discussing the. potential of developing the story into a TV series. 3 May 2014 — All the pivotal characters in Duncan Jepson’s new Hong Kong crime novel—including its cosmopolitan protagonist—are preoccupied with indignities China has suffered at the hands of foreign powers, from the Opium Wars to a fictional 21st century European debt default. Emperors Once More is set in near-future Hong Kong, a “formerly fragrant harbour” in decline after its “zenith in early 2013”. The main action occupies the two days leading up to an 18 August 2017 crisis meeting between G8 nations—that is, the West—andso-called “Outreach Five” nations, the most powerful of which is China. Europe has just defaulted on the debt it owed China, and someone, or some group, is determined to make the continent and all Western powers pay for the debt and every other perceived shame that has been inflicted on China. The methods of extracting that payment are extremely bizarre, misguided and grisly. The book’s opening, on 17 August, is fashioned after popular Hong Kong noir films. It’s 2am, a typhoon signal eight has been hoisted, and a team of police officers are waiting in Kowloon Tong for Chow, a notorious money launderer in southern China. Chow has little bearing on the book’s overall East-versus-West, past-versus-future concerns. But the circumstances of his eventual comeuppance introduce the reader to the unorthodox ways of the mainland-born protagonist, Senior Inspector Alex Soong of the Hong Kong Police Anti-Corruption Task Force. He is Chinese, but out of his element in Cantonese-speaking Hong Kong; he is a police officer, but—typical for a crime story—doesn’t work by the book. Soong likes to improvise on and off the job, much like the musicians in the American jazz he loves to listen to. None of this goes over well with his boss, theCaptain, who anyway prefers classical music. Soong, a New York University graduate, is the son of one of the architects of China’s economic revolution in the 1980s—and the grandson of a man who lost two fingers fighting against the Kuomintang. In the opening scene, he does what he was brought to Hong Kong to do, ­fight corruption. He tells his grandfather and father in a flashback that they fought their battles, for communism and economic growth, respectively, and now his generation has corruption. It is with this purpose in mind that he disposes of Chow and saves the life of the fraudster’s hostage, a little girl who reminds Soong of the twin sisters his parents gave away under China’s one-child policy. The novel soon casts off its noirish beginnings. By about 8am on that same day, he’s cleaned Chow’s blood off his face and hair, and is getting coffee for his slumbering wife Jun, a “classic Chinese beauty”, and failing to convince her to accompany him to receive a posthumous service award at Hong Kong University on behalf of his father and grandfather. Soon after this moment of genteel calm, Soong’s day starts to get a lot worse. Two Methodist ministers are shot dead outside Citibank Tower, no gunman in sight. And, a little later, Soong is the first police officer on the scene of a quintuple homicide a Kowloon warehouse, near, not incidentally, the site of the 1967 leftist riots. He spends the rest of the book trying to persuade fellow officers, including his mysterious Eurasian partner Michael De Suza, that the murders are all connected. First opium, then religion, then political ideology, and now debt. First US debt and now European … must we consume every Western poison? Soong, whose grandfather walked on the Long March, has of course heard this line of anti-Western reasoning before and so have many of the book’s other central characters. This very biased take on Chinese history guides the protagonist as he learns more about the nation’s past in order to preserve its future against his determined foes—who are also, strangely, trying to recruit him. Jepson interrupts Soong’s story with several short sections, offset in bolder typeface, depicting an unnamed man as he gradually grows more xenophobic, especially after his son by a half-Chinese woman turns out looking more Western than Asian. The two narratives gradually and satisfyingly come together. The novel, though a page-turner at heart, takes on a much bigger subject than the classic whodunit. The plot forces the characters to ask how it’s possible to acknowledge the past without being burdened by it and illustrates how a misinterpretation of history can be lethal. It’s evident throughout that Jepson has a wider audience in mind than the Asian expat scene and provides a sort of handholding through contemporary and historical Chinese themes: this broader target readership presumably needs to be told, for example, that Chinese has simplified, traditional and ancient characters. The novel’s topic is also opportunistic, tapping into interest in China’s increasingly important role in the world. Nevertheless, a glimpse at how heavily history weighs on modern China—however much dramatized here—is helpful to a broader understanding. But divulging hundreds of years of history in a future-set novel written for a relatively novice audience puts a narrative under a lot of strain. If this entertaining book has a weakness, it is that its scale of show-versus-tell is a little off balance. 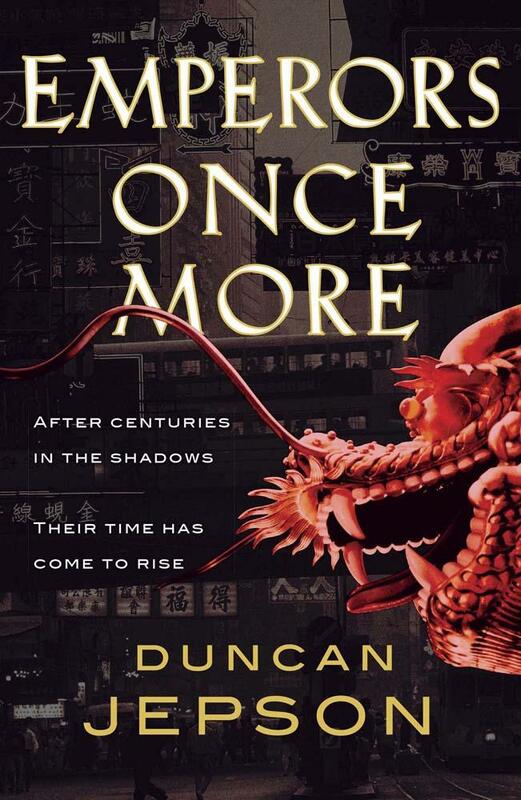 Getting readers up to speed about Chinese history helps explain why the villains are doing what they’re doing, but it also retards the book’s pace, and one imagines that, for some readers, pace is paramount. For others, however, the opportunity to learn a little about the Opium Wars or the anti-British riots in Hong Kong outside of fusty history books or spotty Wikipedia might be compensation enough. China’s history—like the discussions about Boxer Rebellion, which is central to why the ministers died—with the addition of the beautiful and flirty Professor Yi from Harvard. Mainland-born Yi teaches Soong about China’s long and painful relationship with Christianity, that “Western poison”, and in the vitalfinal quarter of the book, while Yi and Soong sit boringly in traffic, she tells the officer about the Boxer rebellion. What she has to say is no doubt interesting, but the story, like Soong’s ’68 Ford Mustang, getsstuck. Nevertheless, in the end, she helps him arrive at important conclusion. The anger you see in them is not about how the West treats us, it’s about how we treat each other. It’s been like that, for five thousand years. But this wouldn’t be an amusing detective novel, expected to be the first in a series, if wise words alonewere enough to save the day—violence, thankfully, ensues. Duncan Jepson delves into a dark well of existential discontent to great effect in his latest book. With last month’s release of Emperors Once More, Hong Kong-based Duncan Jepson has consolidated his reputation as one of the region’s most exciting writing talents. Of mixed Chinese-British parentage, Jepson has delivered three books to critical acclaim. His 2011 debut, the literary historical work, All the Flowers in Shanghai, whose action took place during the middle decades of the last century, heralded his arrival as a writer of distinction. A year later, the noirish Darkness Outside the Night, a graphic novel by Xie Peng for which Jepson provided the text, earned plaudits for its emotional heft and insights into contemporary Chinese society. Some background on the 44-year-old lawyer and writer illuminates recurring themes in his work: alienation and assimilation, and what one might call “cultural schizophrenia”. Jepson descends into this deep well of existential discontent in his new book. Jepson’s day job, and also another creative outlet, have had a considerable influence on Emperors Once More. “I’m a corporate lawyer, and also have the opportunity to write and make films. Often, experiences in one area of my life become relevant to another. Having been engaged in some areas of white-collar crime investigation inspired certain elements of Emperors Once More, though actual criminal investigations are generally a lot slower than presented in any crime novel. Having lived in Hong Kong for a number of years, Jepson noticed some bitterness in the older Chinese generation about the past and foreigners. “A kind of ‘why are all these white people still here’ sentiment that is palpable in some Hong Kong communities,” he says. A major influence on the book came from the famous Chinese writer and cultural observer Bo Yang, author of The Ugly Chinaman, and who Jepson says “had a lot to say about the Chinese inferiority/superiority complex caused by history”. Set in the near future, the “bad guy” in Emperors Once More draws on Chinese history for his killing spree. The detective in hot pursuit is one Senior Inspector Alex Soong, who will reappear in a sequel to this page-turner. “With crime books, publishers generally want a series,” Jepson explains. “And I, for one, would like to know what Alex Soong comes up against next,” the author says with a twinkle in his Eurasian eyes. Emperors Once More is part one of a two-book deal inked last year with British publishing house Quercus – best-known for unleashing the mega-selling Swedish chiller The Girl with the Dragon Tattoo on the English-speaking world. As for the business of writing, Jepson has two pieces of overarching advice for aspiring authors. In Emperors Once More, Hong Kong author Duncan Jepson has merged the city’s past and present to create a hypothetical future in which a murky underworld threatens to rise to the surface. It’s a little surprising that thriller writers have not mined Hong Kong for more material in the past: in many ways, it’s the perfect backdrop for a high-octane mystery. There’s glitz and glamour, but also windy streets, dark corners and a history of organised crime. Whether Jepson’s 2017 vision of Hong Kong – where a brutal murder never seems far away – is a dystopian nightmare or a worrying prediction is for debate. The recent brutal attack on former Ming Paoeditor Kevin Lau Chun-to might suggest the latter; it’s certainly the type of incident that wouldn’t look out of place in Emperors Once More. As is traditional with modern-day thrillers, it’s not enough for a hero to tackle mere murderers. Any killing must be part of a global conspiracy, and Jepson does not disappoint. He has set up an intriguing backdrop in which China has bailed out a debt-ridden Europe, only for Europe to default on the loan. It’s a clever set-up because it taps into the genuine fears of the West over China’s rise during the previous decade. But the focus here is on the bubbling discontent on the mainland, which evokes familiar Chinese themes such as the century of humiliation and the need for the country to reassert itself on the world stage. It’s not a million miles from what one might read on a nationalist blog, or the pages of state-run newspapers such as The Global Times. When two priests are killed by a sniper in Hong Kong, and then a container full of dead bodies is discovered, it falls upon Senior Inspector Alex Soong to investigate. Kicking off with the priests’ murder is a clever touch from Jepson: it’s a subtle nod to the Boxer Rebellion, the violent anti-Christian and anti-Western movement in China at the end of the 19th century and start of the 20th, which was crushed by an alliance of Western powers. Soong is an intriguing hero who is also well versed in his country’s history. Being the intuitive type, he soon suspects there may be more to the murders. At times, Soong drifts dangerously close to the clichéd detective who must battle his own demons as well as the bad guys. But his background – an American-educated Hongkonger with mainland heritage – adds dimension to the character. Soong drives a Mustang and listens to Miles Davis; he also practises traditional martial arts. It may be a little crude, but it is an effective way of embodying the clash between East and West which lies at the centre of the book. Fortunately, Soong is an earnest character who becomes genuinely likable as the book progresses, particularly when dealing with a distant wife who only appears interested in buying expensive furniture. By the time the book reaches a climax – at a G8 meeting in Hong Kong, at which Soong is convinced that something terrible will happen – it’s hard not to root for the police officer. Jepson, a lawyer by day who has also worked as a writer, producer and director on films, certainly has an eye for the cinematic. The book is urgent and at times restless, much like its hero. Short chapters will keep the pages flicking, and the plot is thick enough to give the reader a working knowledge of modern Chinese history as they progress. It displays real confidence to take on such a voice, boiling down 200-odd years of resentment into one well-versed putdown. But Jepson has the verve to pull it off. It’s also a brave move to create baddies not too unlike the ultra-nationalists on the mainland. But he handles the characters with sensitivity, ensuring that the lines between good and evil are suitably blurred. Emperors Once More is a dramatic change of pace from Jepson’s debut novel, All the Flowers in Shanghai, a sweeping story set in 1930s Shanghai which was well received when it was released in 2011. Jepson has also co-written a graphic novel, Darkness Outside the Night, with Xie Peng, which won praise from Nobel laureate Mo Yan. But in turning to the thriller genre, Jepson focuses on Hong Kong, where he lives and works. He has been clever to name-check many of the city’s prominent streets and districts as Soong moves around trying to solve the case. It may be an old trick, but anyone familiar with the city will nod in recognition. In one particularly evocative scene, he describes the Jockey Club in Happy Valley, which has fallen into a state of disrepair by 2017 as illegal gambling rings become more prevalent. Jepson has also made sure to populate the city with a cast of minor characters which anyone who has lived here is bound to recognise. A particular favourite is Jenni Plum, a fashion blogger who manages to get Soong in trouble with both his boss and his wife. Emperors Once More tackles some universal themes that should attract a following, even among those who have never visited our city. It is an ambitious and high-minded thriller that challenges the reader to consider the impact of the past on the West’s future relationship with China. As for Alex Soong, he’ll be back on the case soon; Jepson is already working on a second instalment. Kim Jong Un uses the United States as a bogeyman to keep North Korea’s population in line according to Jang Jin-sung, a former North Korean writer and spy. In a related report by The Inquisitr, a Kim Jong Un video game has the dear leader riding a unicorn while fighting off US imperialists. Even Dennis Rodman makes an appearance in order to come to the aid of Kim. Of course, all the gamers over in North Korea are also required to sport the same exact haircut as Kim Jong Un. At one point his life, Jang Jin-sung was part of the inner circle who was given special privileges, but in 2004 he fled the country after he “realized it was policy that was forcing our history, our culture, and our identity to be written a certain way — not because it actually happened this way.” He’s soon releasing a book called “Dear Leader: Poet, Spy, Escapee — A Look Inside North Korea” which tells exactly how the inner workings of North Korea function. State media has even gone so far as to claim Kim Jong-il “shot 11 holes-in-one the first time he played golf” in order to prop up the myth of the Kim family. Are you surprised to hear about how Kim Jong Un and North Korea may operate in reality? For a country renowned for its secrecy, we seem to hear an awful lot from North Korea. Beyond the headlines, countless articles exploring the oddities of life in the country trend across social media. Recently in vogue was Kim Jong-un’s hair, with rumours the style had been mandatory nationwide. Last year we had an HBO documentary of Dennis Rodman’s attempt at basketball diplomacy, while news aggregator Reddit hosts ”Ask Me Anything” sessions when experts and visitors answer hundreds of questions on everything from the food to the nightlife. Perversely, we’ve never known so much about the Hermit Kingdom. North Korea is, of course, a uniquely peculiar place, and it seems to have captured the public imagination in recent years. It stands out, even among tin-pot dictatorships, as particularly eccentric. Even in the age of global interconnectedness, it somehow exists almost wholly on its own terms. We view it with a morbid curiosity, the same way we might watch an episode of Game of Thrones. Dystopian fiction is once again a force in popular literature, film and television, and North Korea actually lives this nightmare, separate from the real world. 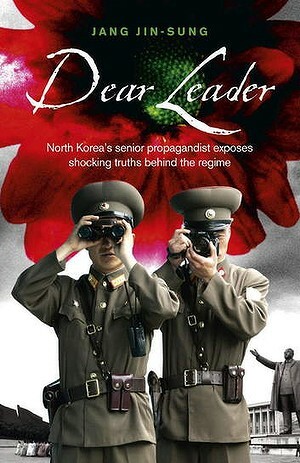 Dear Leader: North Korea’s Senior Propagandist Exposes Shocking Truths Behind the Regime, by Jang Jin-Sung. But those who wish to approach Jang Jin-sung’s memoir Dear Leader with a sense of distant fascination are in for a shock. This is a book that brings home the jolting reality of a regime that was in February compared to the Nazis by former Justice Michael Kirby as he headed a UN inquiry into the country’s human-rights abuses. Jang is not the first to try to shed light on these hardships. Nothing to Envy, the 2009 book by Los Angeles Times journalist Barbara Demick, broke ground and hearts in equal measure by piecing together the lives of ordinary North Koreans through interviews with more than 100 defectors. It was a staggeringly personal account that went some way to dispel the Team America caricature of North Korea as nothing more than the plaything of comedy super-villain Kim Jong-il; here were real people, living real lives surrounded by unimaginable horror, yet still they laughed, cried and fell in love just like the rest of us. Since Nothing to Envy, plenty has changed in North Korea, not least the succession of Kim Jong-un as supreme leader following the death of his father. But what does remain is an almost insatiable demand for a ”behind-the-scenes” look at the country. In recent years we’ve had accounts from gulag survivors (Blaine Harden’s Escape from Camp 14), foreign diplomats (John Everard’s Only Beautiful Please) and emergency aid workers (Dualta Roughneen’s On the Inside, Looking In). Dear Leader is a memoir that manages to stand apart from these not only because it features the account of an escape so dramatic it would raise eyebrows on the pages of a thriller, but because the author and escapee is one of the most senior North Koreans ever to defect. Jang Jin-sung is no ordinary North Korean. By his late 20s he had become, in essence, the country’s poet laureate. After switching from music to words as a student, he caught Kim Jong-il’s eye with his poetry, becoming a member of the ”Admitted” – an elite group of senior North Koreans who had spent time with the Dear Leader. As if to prove even socialist dystopias are not without a sense of humour, Jang was assigned to work in the secretive Office 101, part of the United Front Department, where alongside his poetry he studied South Korean news and literature and helped produce propaganda. But even as one of the Admitted, he was not untouchable. Jang broke protocol to check out a banned book for his friend, Hwang Young-min. Disseminating sensitive literature is considered an act of treason, so when Hwang lost the book on a subway train, the pair knew it was only a matter of time before they were found out. The missing book was discovered by secret police, and an investigation was launched. With police zeroing in on Jang and Hwang, they decided their only option was to flee the country. Jang and Hwang made it into China with relative ease after a dash across the frozen Tumen River. But this proved to be just the beginning of an arduous journey along a modern-day equivalent of the underground railroad, where they were shuttled across northern China by a network of sympathisers, the ultimate goal being South Korea’s Beijing embassy en route to Seoul. But this was no formality. Life in China for a defector is far from safe. There are Chinese police and North Korean spies to evade, looking to ship defectors back home to face almost certain execution. And then there are the human traffickers; many defectors end up sold into servitude. A ”Grade One” North Korean woman can sell for $US1500, according to Jang, to a Chinese man looking for a wife. It is not uncommon for the women to be shackled to a bed to prevent them from escaping. Office 101 may have provided Jang with an insight into life outside North Korea denied to his fellow countrymen, but he is still shocked by what he sees beyond the border. The houses of average people are as grand as the most senior party cadres back home. People eat meat with every meal, not just for special occasions. He is so taken aback by the size of the crowd at a shopping mall he asks if there is a mass-mobilisation event in progress. Jang’s privileged position within the Kim regime arguably makes him – at least since the passing of Hwang Jang-yop in 2010 – the world’s leading authority on the inner workings of North Korea. In 2012, he founded New Focus International, a news website that covers North Korea with reporting and analysis from a network of defectors. Dear Leader’s escape narrative is interspersed with similar analysis of the Kim regime. In one particularly enlightening passage, Jang draws upon his experience working on an official state history of the Kim family to explain how Kim Jong-il had all but usurped his father, Kim Il-sung, by 1980, 14 years before the latter’s death. But Jang is still, at heart, a poet, and the most moving moments of Dear Leader come courtesy of his eye for the human tragedy unfolding before him. He recounts witnessing a public execution, observing that its primary purpose was not to punish the victim, but rather as a form of moral re-education for onlookers. The incident later becomes the inspiration for a poem he keeps hidden in his pocket throughout the escape: ”The prisoner’s crime: theft of one sack of rice, His sentence: ninety bullets to the heart.” This is a book that manages to shock and appal, even within the context of what we know about North Korea. And perhaps this is ultimately the value of Dear Leader, as a timely reminder that alongside the absurd sideshow North Korea has become – the Dennis Rodman trips, the Kim Jong-un haircuts – there is a human cost on an almost unimaginable scale. David Bartram is a journalist in Hong Kong who writes about China and North Korea. Jang Jin-Sung is at Sydney Writers’ Festival, May 19-25.